It’s been a strange reading month for me. I’ve read a lot, far more than usual, and reviewed very little. The majority of that is due to rereads. After Readathon last month, I felt like diving back in to some of my old favorites. First I listened my way through the Cormoran Strike series by Robert Galbraith. Then I started up with the Raven Cycle audiobooks again. In between, I read a few new-to-me books. Those I enjoyed, I reviewed (or will review soon). Those I didn’t…well, I’ll just do a couple mini-reviews below. Beyond that, tons of my library holds all came in at once. Over a dozen arrived in the course of two weeks, many of them right before my mini-vacation. I have a whole stack to preview and either keep to read or cull from my to-investigate list. So far I’ve only made it through a few. The ones I still have left to go through (or plan to read through to completion) are pictured to the left, excluding the half-dozen in my audio queue. There was no such thing as a good divorce for children. She’d read that somewhere, just a few weeks ago, before all this. Even when the split was perfectly amicable, even when both parents made a huge effort, the children suffered. I loved the premise of this one. Tess and Gus are meant to be, but they keep almost-meeting and missing their chance. The book takes us over sixteen years until they finally do meet. Once again, I loved this one at first. Both Tess and Gus’ stories were interesting. However, at one point they both grew to be unlikable characters, and their individual lives went on for way too long. Probably 90% of the book was separate, and only 10% at the end once they finally meet. Maybe even less. It meant the book dragged on very slowly after a time, and then rushed at the end. There were some things about after they meet that really bothered me, but I won’t reveal them for spoiler-sake. The premise is one I always find interesting, but I often find the execution disappointing, and Miss You followed that same pattern. I wasn’t the biggest fan of the audio performance (Anna Acton and Finlay Robertson) either. 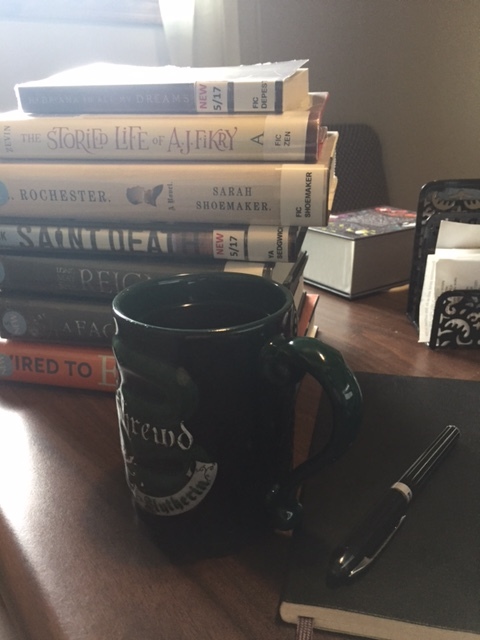 This entry was posted in 2017, Adult, Book Talk, Prose and tagged dream-invader, mini-review, psychology, Sunday Coffee. Bookmark the permalink. I know I’ve read The Husband’s Secret, but the details of the story completely fail me. In fact, reading detailed synopses on the Internet is not enough to job my memory. I find Moriarty’s novels to be a bit hit-or-miss with me. I really did enjoy Big Little Lies but the rest have been mediocre IMO. 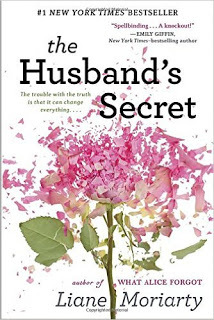 Granted, I gave The Husband’s Secret a positive review, but the fact that I cannot remember a single detail about the book indicates my true feelings about it. I found a detailed synopsis online. Even reading that (with the secret) was not enough to make me remember anything about it. Ha! I have some books in the past like that.